Are you ready for Football Season? 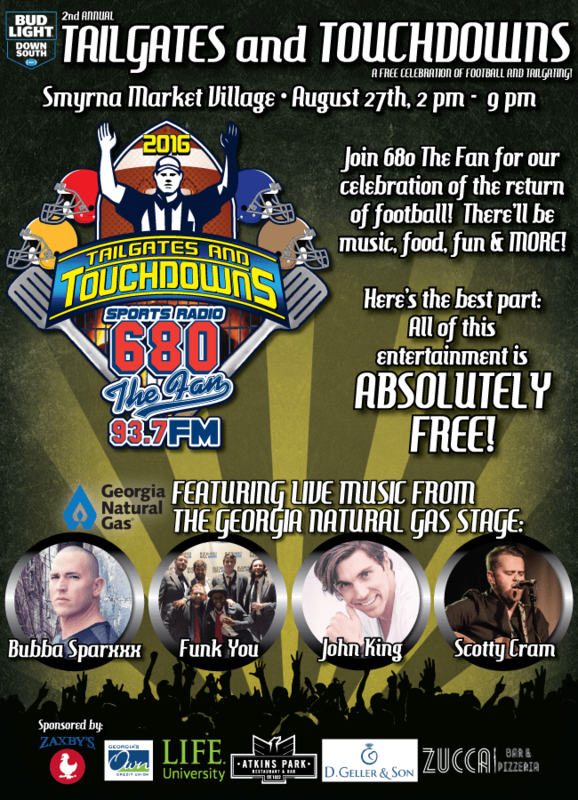 Well come celebrate with 680 Sports Radio this Saturday August 27th from 2pm to 9pm at the Smyrna Market Village for Tailgates and Touchdowns. There will be live music,food,fun games and more. The best part is that this event is FREE. Some of the peformances include Bubba Sparxxx and funk you.